A promising stem cell-based immunotherapy against melanomas has been fast-tracked by the U.S. Food and Drug Administration (FDA), based on previous clinical trials showing that it may double 5-year survival rates to about 50%. The upcoming phase III clinical trial will accept 250 people with melanomas that have spread; enrollment is expected to begin in early 2014. 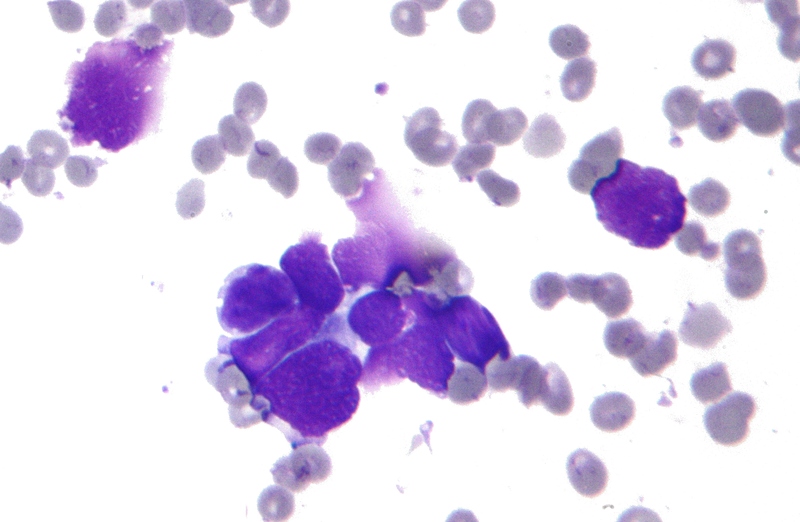 This experimental immunotherapy uses a mixture of a person’s own cells: cancer stem cells from his or her tumor, which are thought to be behind the spread of tumors, and immune system cells from the blood, which learn to recognize the cancer stem cells. These cancer stem cells are inactivated to keep them from forming new tumors, then the mixture is injected back into the patient. The reintroduced immune system cells then focus an attack on the cancer stem cells that remain in the tumor, which helps keep them from spreading. A new clinical trial will investigate the safety of vantictumab (OMP-18R5), a new lung cancer drug targeting cancer stem cells (CSCs). 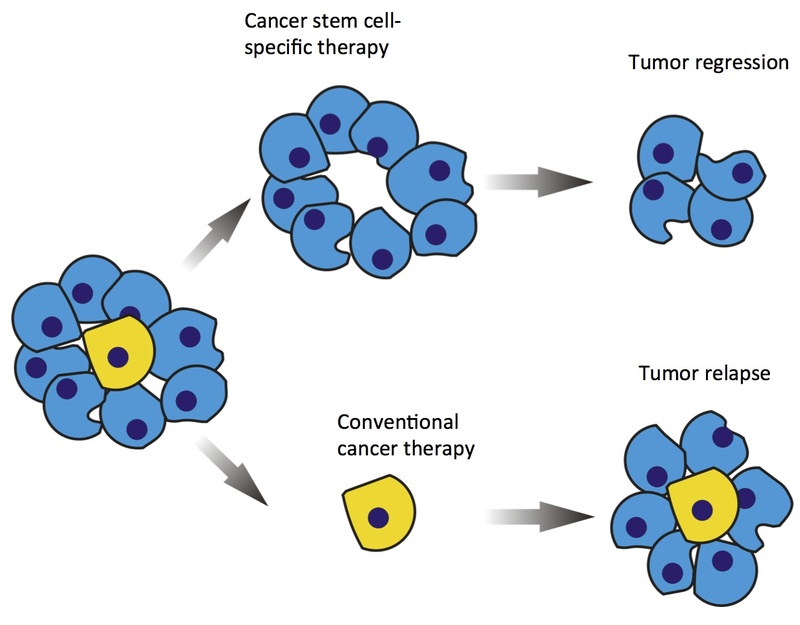 CSCs, the actively multiplying cells responsible for generating tumors, are thought to be central in cancer relapse by ‘repopulating’ tumors, even if the bulk of the tumors cells are destroyed during treatment. Vantictumab blocks the Wnt pathway, a key molecular signaling pathway used by CSCs. Patients with previously treated advanced non-small cell lung cancer (NSCLC) will receive vantictumab in combination with the chemotherapy agent docetaxel (Taxotere). In addition to the safety of the drug combination, the trial will also investigate how effective it is and whether any biomarkers predict how well patients respond. Gammaitoni L, Giraudo L, Leuci V, Todorovic M, et al. Clinical Cancer Research. Jun 21, 2013. Zhao J, Ma MZ, Ren H, Liu Z, et al. Clin Cancer Res. Jun 17, 2013. Approximately one third of the patients with advanced non–small cell lung carcinoma (NSCLC) will initially respond to platinum-based chemotherapy, but virtually all tumors will progress (acquired resistance). The remainder will progress during initial treatment (primary resistance). In this study, we test whether the treatment can be improved by inhibiting hepatoma-derived growth factor (HDGF). Our data support the hypothesis that cancer stem cells (CSC) are a mechanism for chemotherapy resistance and suggest HDGF may be a target for repressing CSCs to prevent relapse of NSCLC sensitive to chemotherapy.